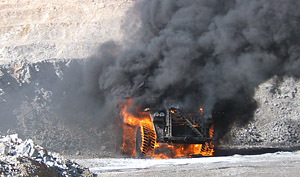 Specialist training conducted on-site to prepare participants for fighting fires in a mine or infrastructural environment. Not currently running public courses. This course covers the conducting of fire team operations in the Resources and Infrastructure industries. It includes the planning and preparing for work, fighting or containing fires and finalising operations. 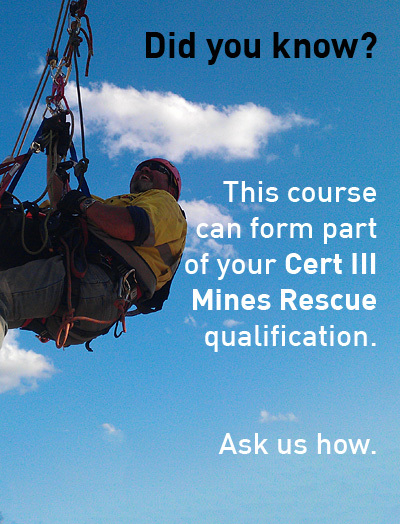 We are one of the few RTOs regularly running this course for clients and sites in Australia. Plenty of practical hands on training to ensure workers can be safe, use all equipment as intended, and comply with relevant standards and legislation. Please contact us to discuss equipment requirements. Ashley was supportive of the team needs, he catered for all training levels and encouraged learning throughout the course by taking us all aside individually and running through whatever we needed extra help with or reminding on. We had a really informative and enjoyable 2 days.